The smart home race is getting into high gear and no single leader has yet emerged. At the moment, it looks like there are four major leaders in the smart home space, all household tech names. When asked in a recent study which brands are the leaders in the smart home technology race, Google, Amazon, Samsung and Apple all received equal rankings by consumers. The study to measure smart home device adoption comprised an online survey of 700 U.S. adults conducted by the research firm Gut Check. Following those four were, in order, LG, iRobot, Nest, Bose, Philips, Ring, Kohler, Belkin, Sonos, Wink, Ecobee, Lutron and August. Smart home hubs likely have the most opportunity for adoption, since the spread between awareness and ownership is high, with 67% being aware of devices such as Google Home and Amazon Echo, but usage is at 46%, according to Gut Check. 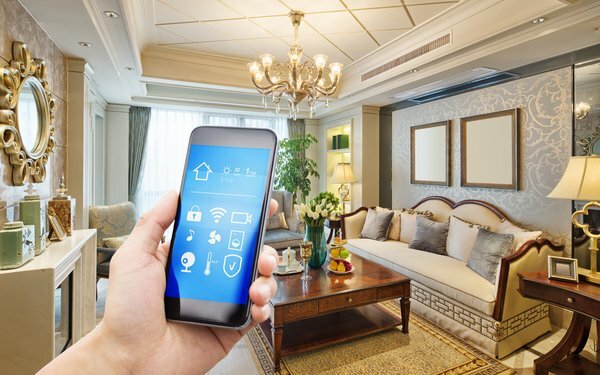 More than half of consumers say they are likely to buy a smart home device in the next year, either as a first purchase or an addition to smart home devices already owned. The leading categories relate to safety and security, entertainment, home management and appliances. More homes will be getting smart. 2 comments about "Google, Amazon, Samsung, Apple Tied In Smart Home Race". Mark Westlake from GearBrain, July 19, 2018 at 5:12 p.m. Interesting that Microsoft is not listed. Also, the key to the grow is going to be connectivity. If you don't have it in your home, you will have issues with these devices working the way they are suppose to work! Chuck Martin from Chuck Martin replied, July 19, 2018 at 6:48 p.m.
Good point, MArk. Will be most interesting to see connectivity evolve once 5G is in full swing down the road.